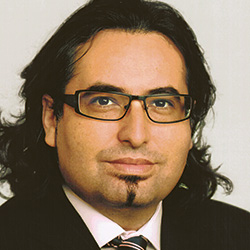 Carlos Rodrigo Sáez-Muñoz held the Pierre du Bois Scholarship from 2008 to 2010. He was born in Chile and attended primary school there. His family moved to the North-eastern United States and Carlos completed his studies through high school in New York City. He subsequently received his BA in History from the State University of New York. After graduating, Carlos gained significant private sector experience in the areas of international trade and television production. He paused his career to pursue a PhD at the Graduate Institute, a place he praises for its “intellectually vibrant environment.” His doctoral thesis applied ideas about institution-building in a highly sensitive local context to ideas of shared water resources. It looks at how this dynamic can have a positive impact on conflict resolution, particularly in poorer areas where diminishing availability of water presents the greatest challenges.